The following was sent to StFX University Faculty on Thursday October 10, 2018. A Committee to examine Master’s Thesis Supervision Teaching Credit has finished its work and made recommendations to the University and the AUT. We thank Richard Isnor, Petra Hauf, Ranke de Vries, Mike Melchin, and Russell Wyeth for their consultation and contributions. The University and the AUT agree, through a Letter of Understanding, that Master’s thesis supervision teaching credit shall be awarded one-third (1/3) of a three-credit course per completed thesis across all Faculties retroactive to July 1, 2016, the start date of the current Collective Agreement. An increasing number of teachers at Canada’s colleges and universities are trapped in precarious contract and part-time work. Contract and part-time work has quietly gone from a short-term stepping stone to a career-long condition. Many earn less than a living wage. Thousands of professors are denied the opportunity each year to participate in (and be paid for) all aspects of academic work – research, teaching, and service. This has serious implications, not only for contract academic staff, but for students, their regular academic staff colleagues, and the integrity of post-secondary institutions. We can change this, by improving the working conditions and job security of contract academic staff. Fair Employment Week is October 22 to October 26, 2018. CAUT members across Canada are hosting events on campus to support fair treatment of all academic staff. This article, written by StFXAUT Executive Assistant Susan MacKay, appears in the Summer 2018 edition of The Beacon. The StFXAUT would like to congratulate the 2018 Book Prize Award recipients Corrina Degen (Bachelor of Arts with Honours in Development Studies) and Kelsey Fahie (Bachelor of Arts in Human Kinetics). Each student was presented with a cash award of $200 and Canada Reads 2018 “The Marrow Thieves” by Cherie Dimaline and “The Big Picture: The Antigonish Movement of Eastern Nova Scotia” by StFXAUT Member Dr. Santo Dodaro and Leonard Pluta. 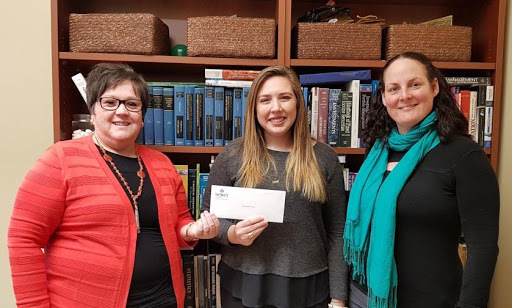 The StFXAUT Book Prize is awarded at Spring Convocation to two graduating students who demonstrate a commitment to social justice advocacy and community development on campus or in the community. Please visit this page to learn more about the StFXAUT Book Prize Award. Congratulations Corrina and Kelsey! We wish you the very best in your future endeavours! This article, written by Janette Fecteau, BTS Member and Part-time Academic Instructor in Fine Arts, appears in the Summer 2018 edition of The Beacon. 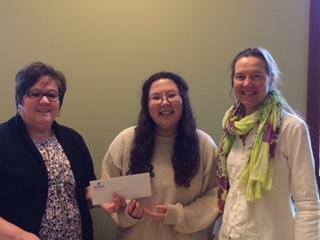 The StFXAUT has had a rewarding connection with the Maritimes-Guatemala Breaking the Silence Solidarity Network (BTS) for close to 20 years. Members of our Union have invited speakers from Guatemala into our classrooms, have acted as Faculty Leaders for the Immersion Service Learning Guatemala experience, and have organized films, speakers, and other events in the Antigonish community. (For a more in-depth look at this history, see Philip Girvan’s article “The StFXAUT Breaking the Silence (BTS) Connection” in the Spring 2017 issue of The Beacon.) This past May, I had the privilege of participating in the 2018 BTS delegation to Guatemala, an annual learning tour that visits grassroots organizations working on human rights, social justice, Indigenous land rights and education, feminism, and more. The 14-day itinerary was packed! Rather than offer a diary of all our meetings and experiences, I will reflect on three topics dear to the hearts of StFXAUT members: education, research, and—coffee. These reminders appear in the Summer 2018 issue of The Beacon. The next deadline to submit the StFXAUT Sponsorship Policy and Application Form is Monday, October 1. Please note that applications can be submitted any time before this deadline. The StFXAUT invites sponsorship requests from organizations committed to education, labour, social justice, and community development. The Canadian Association of University Teachers (CAUT) offers Health and Dental Benefits for Retirees. To learn more about monthly premiums for residents of Nova Scotia, please click here. StFXAUT social media activity is ongoing: follow @StFXAUT on Twitter and like our Facebook page, www.facebook.com/StFXAUT, to monitor goings-on. Please remember to send your event notices and campus updates to the StFXAUT list serve to keep all Members informed. 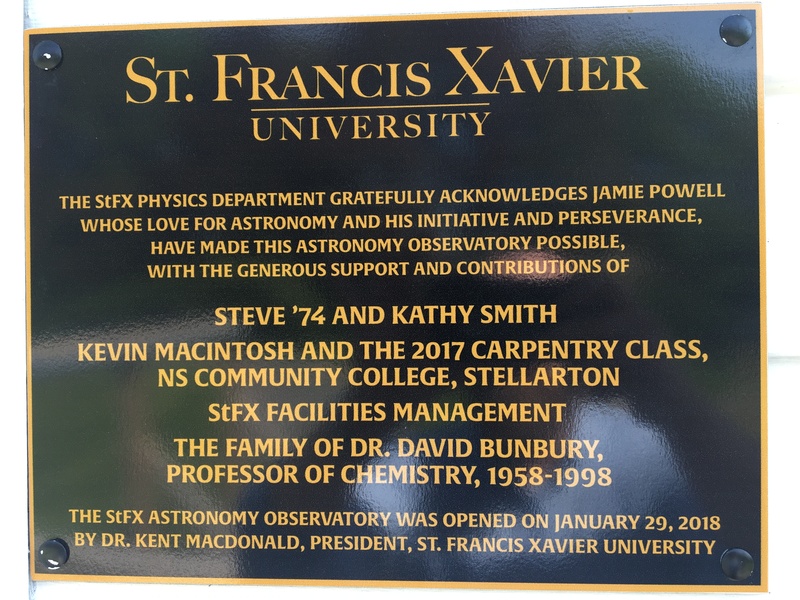 Maintaining a permanent public observatory on the StFX University campus has been a challenge. The first to attempt to get one established was the Reverend Doctor E.M. Clarke, credited with initiating the physics research program at StFX under the guidance of the then President, the Right Reverend Monsignor Doctor P. J. Nicholson, who was also a physicist. Dr. Michael Steinitz, Professor Emeritus with the Physics Department, told The Beacon that Clarke purchased telescopic equipment and a dome out of his own pocket, but could not convince StFX University administration to allow an observatory to be built on campus, and the equipment sat, unused, in an attic in the science building for years. Permission to build an observatory was finally granted following Steinitz’s appointment as Chair of the Physics Department. As Steinitz tells it, this was secured only after a heated confrontation with the then University Academic Vice-President J. J. MacDonald. University administration finally agreed to provide space and allocate the funds necessary to construct an observatory. This work was performed by carpenters with StFX Facilities Management. The Clarke Observatory, built on the roof of the old Science Building, the current Schwartz School of Business, opened during the 1979-80 academic year. 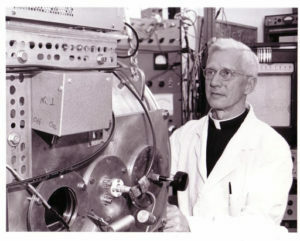 While the observatory was being built, Dr. Clarke was receiving care for his terminal cancer in the infirmary, then located on the top floor of Morrison Hall. Though Clarke was never able to visit the observatory, he watched the observatory’s progress from his bed, and saw most of it completed just before he died. In addition to training students, the Clarke Observatory held weekly public viewing sessions throughout the academic year. These attracted significant interest. 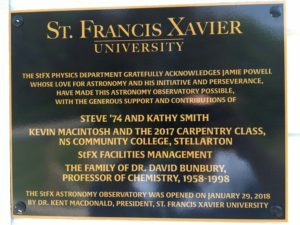 Jamie Powell, Senior Lab Instructor with the StFX University Physics Department, took over the operation of the observatory in 1990. The observatory was well used. For example, around a hundred people queued to view Comet Hyakutake in 1996 and Comet Hale-Bopp in 1997. Free, public rooftop observations came to an end once StFX began transforming the science building into The Schwartz School of Business. Telescopic equipment was moved to the Physical Sciences Centre in 2004, and lugged out to be set up whenever a significant stellar event would take place. Since the dismantling of the Clarke Observatory, there has been a decade-long community effort to re-establish a public observatory. Powell has been the driving force behind this. 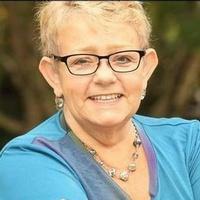 This article, published in the Summer 2018 edition of The Beacon, was written by Joanne Tompkins, Faculty of Education. In 2014 the Antigonish Affordable Housing Society (AAHS) became a registered Canadian charity with a vision towards creating sufficient environmentally, socially, and financially sustainable community-supported affordable housing for the residents of Antigonish Town and County. 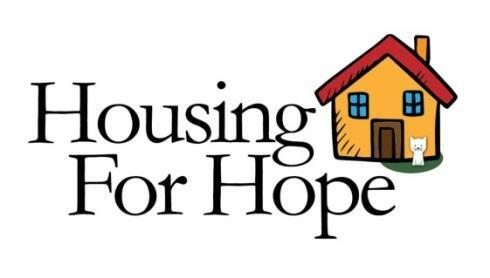 The mission of the AAHS is to research and develop opportunities to create better affordable housing through either building new units or renovating existing ones and provide social support for the residents of its developments. A working board of directors made up of volunteers with skills in community development, communications, building development and management and accounting guides the work of AAHS.